Located southwest of the Hall of Supreme Harmony (Taihe dian), the Pavilion of Spreading Righteousness (Hongyi ge) was initially named "Martial Pavilion” (Wu lou) by the Yongle Emperor (r. 1403-1424). 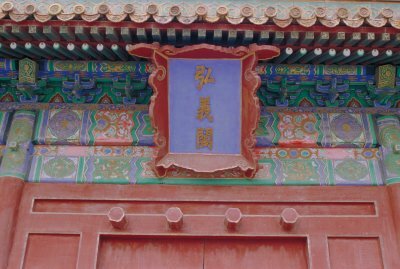 During the Jiajing reign it was changed to Pavilion of Martial Success. 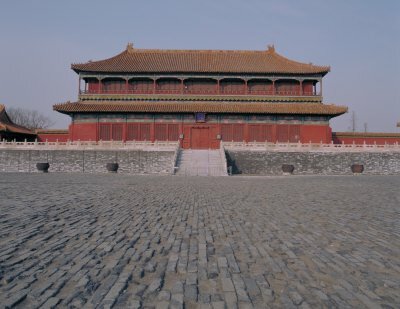 Its current name was given by the Qing (1644-1911) rulers. During the Qing dynasty (1644-1911), the Pavilion of Spreading Righteousness was used for storing gold and silver ritual implements.